Maquia: When The Promised Flower Blooms is a captivating anime masterpiece. The sentimental fantasy epic weaves a mesmerizing tale of tenderness and genuine pathos in its richly-imagined world of dragons and a tribe of immortals struggling to hold on. 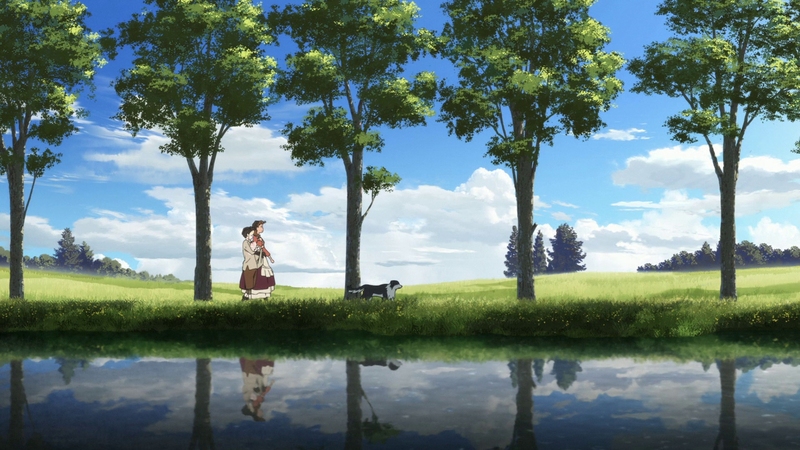 The directorial debut of acclaimed anime screenwriter Mari Okada (Anohana: The Flower We Saw That Day and The Anthem of the Heart) has gorgeous animation that sets a new benchmark for anime. There will be few dry eyes left in the house after watching this moving and imaginative tearjerker. 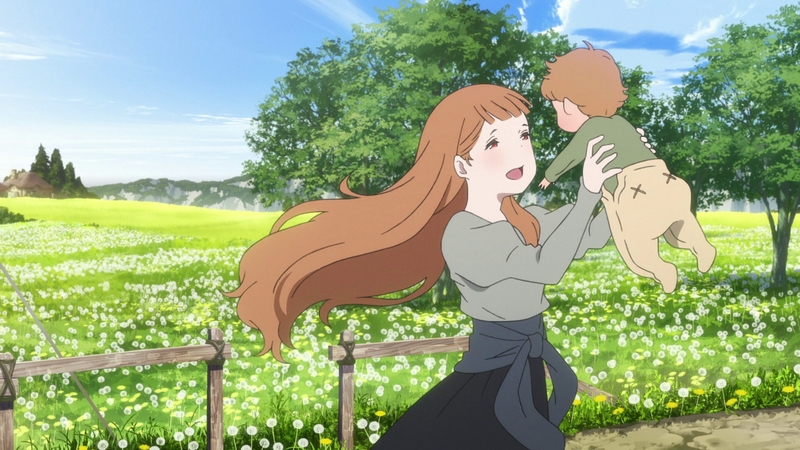 Maquia resonates with a heartwarming story of a mother’s abiding love for her child, despite many hardships and obstacles in a cruel world. Okada wraps her well-developed and charming characters into an ambitious fantasy world of kingdoms and mythic fables. The poignant themes coalesce into an emotionally involving plot that neatly twists and turns, surprising even astute viewers. 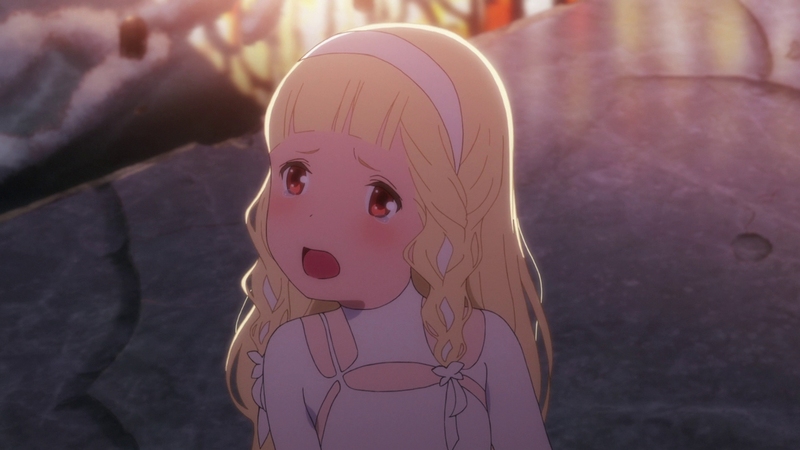 The plot revolves around the young Maquia, a girl no older than 15. She’s an Iorph, a clan of nearly immortal beings that never age past adolescence. Isolated from humanity, the Iorph weave each day into fabric they call Hibiol. 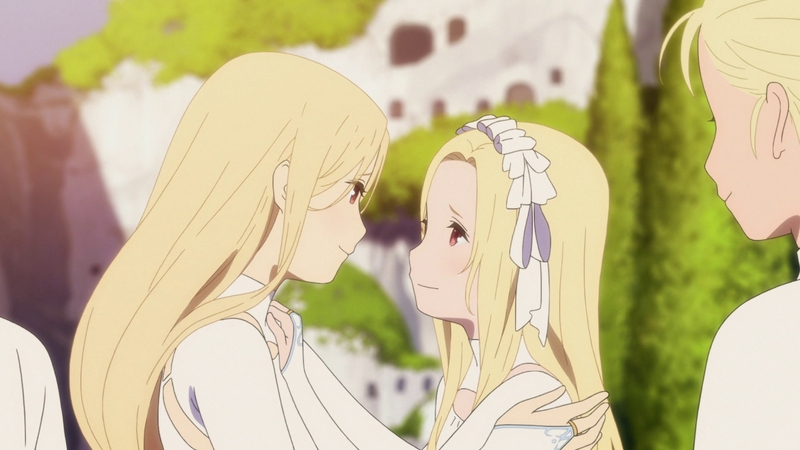 An elder warns Maquia not to fall in love with someone outside the clan, or she will have great sadness. Maquia lives a sweet, carefree life with her friends like Krim and Leilia. That peace and happiness are soon shattered. A warring kingdom in control of fearsome dragons invades their village, seeking out the Iorph’s precious blood in hopes of discovering the secret to their immortality. Maquia escapes the assault and devastation by sheer accident. 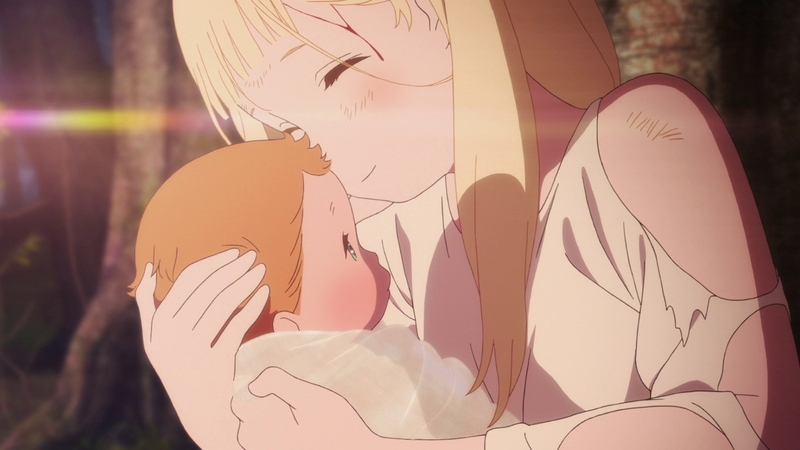 Alone and isolated from everything Maquia has ever known, she discovers an orphaned human baby in his dead mother’s arms. Hiding from the army, she raises the baby Ariel as her own despite immense struggles for the both of them. 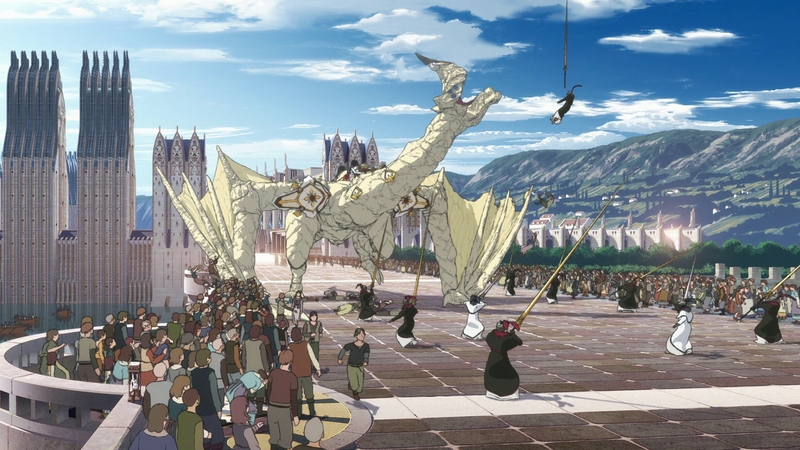 Maquia’s people are scattered throughout the kingdom and hunted for their blood. Her life will head down a bittersweet path as the realities of an Iorph parenting a human child start intruding into Ariel’s life. 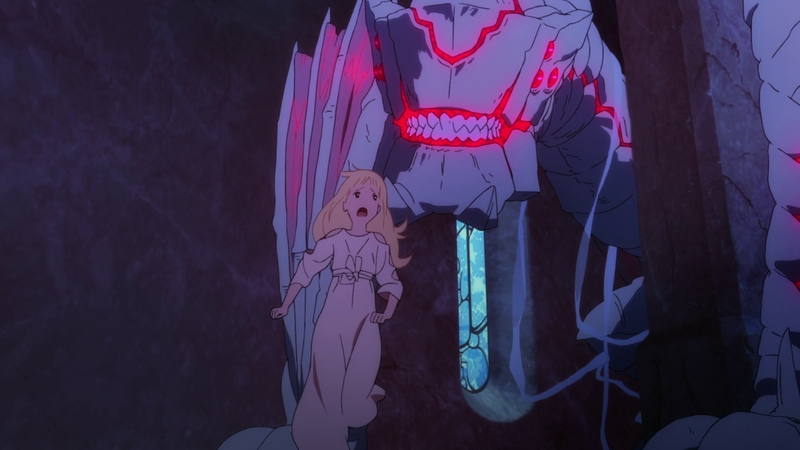 The driving creative force behind such beloved anime as Anohana: The Flower We Saw That Day, writer Mari Okada effortlessly makes the jump to full-fledged director with Maquia: When The Promised Flower Blooms. If Anohana made you tear up, bring the tissues watching Maquia. 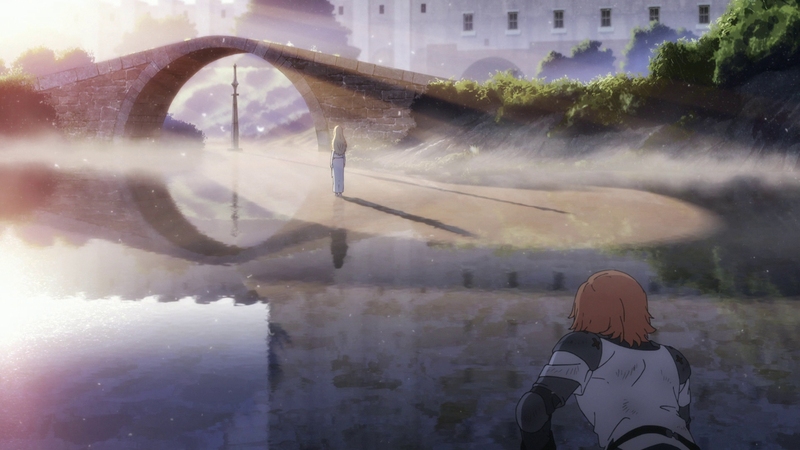 The mother-son dynamic between Maquia and Ariel is grounded in tragedy, but a joy to behold on screen as it develops over the years. It’s hard not feeling great sorrow and sympathy for Maquia. The movie is such a mature and polished anime that Maquia instantly earns classic status. This is poignant storytelling with a heartwarming message, tinged with a melancholic undertone. 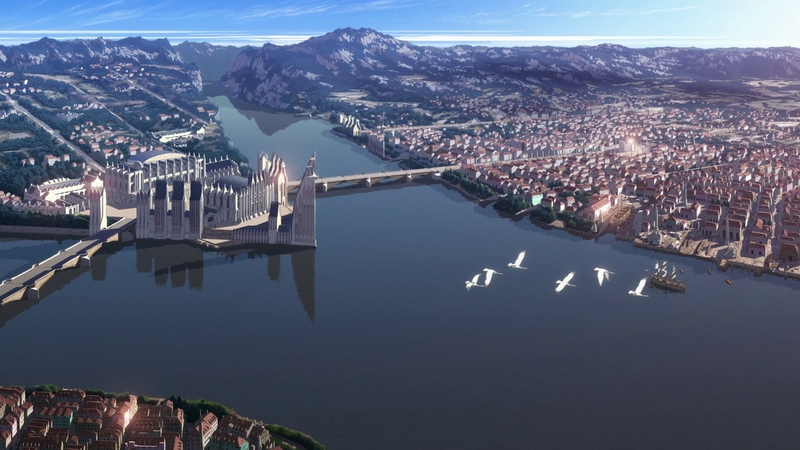 The traditional anime is absolutely gorgeous with some of the most fantastic background art ever seen in anime. 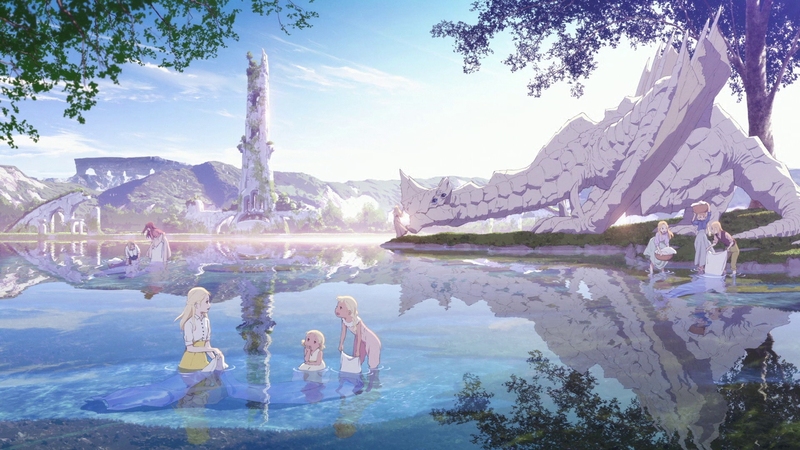 Maquia’s lighting and water reflections are some of the most advanced ever seen in animation. Movies like Maquia: When The Promised Flower Blooms rarely come along. 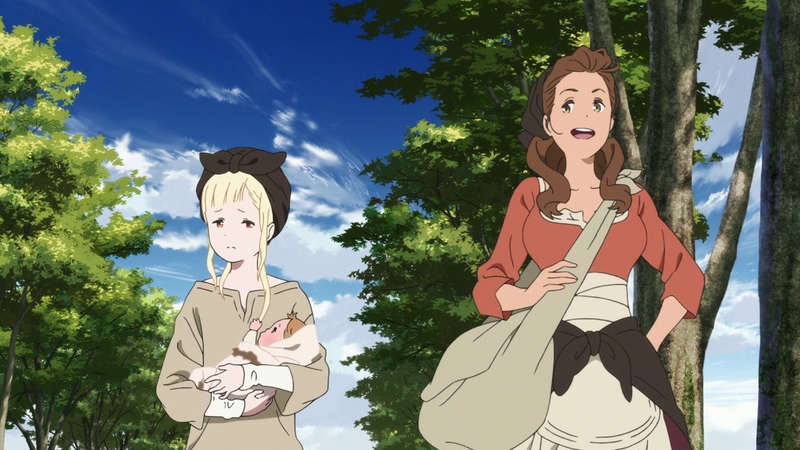 The tender, moving tale has its fantasy trappings, but at Maquia’s heart are genuinely great characters. 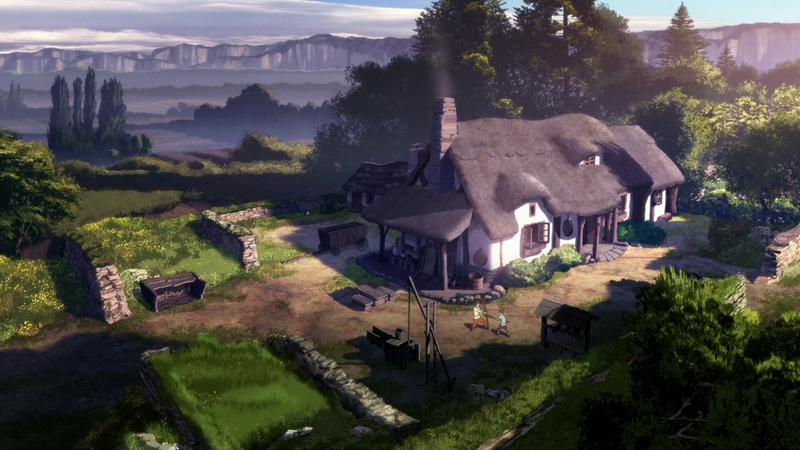 This is absolutely essential viewing for anime fans and fantasy lovers. Shout Factory excellently distributes Maquia on a Blu-ray that showcases the movie’s phenomenal animation. This is a top-notch presentation of utterly stunning animation, some of the best ever seen in anime. 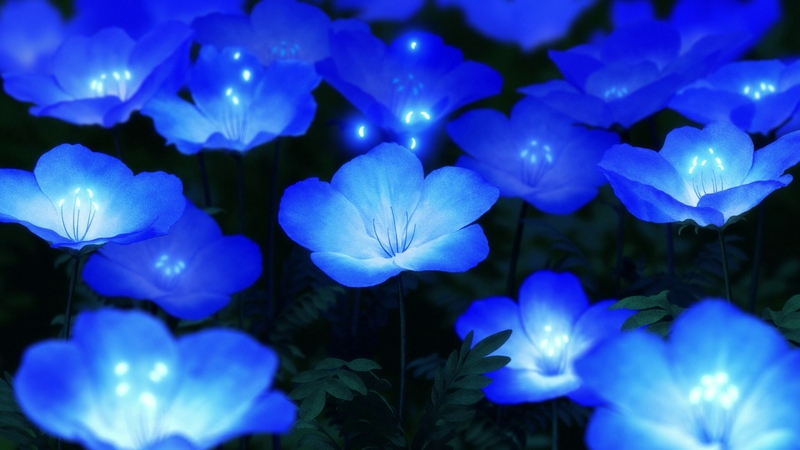 The movie has dazzling lighting effects and incredibly painted backgrounds. Seriously, freeze-frame some of the wider opening and closing shots. They are rendered with intricate details in some of the most magnificent art to ever come from anime. 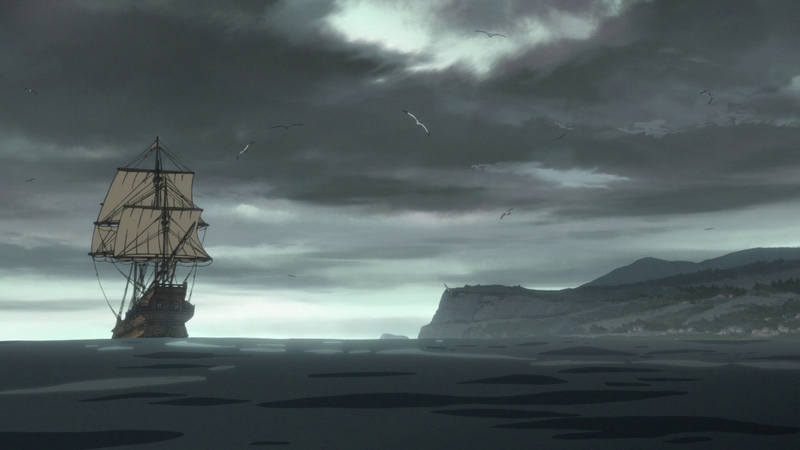 It ranks alongside the beloved Disney classics in terms of sheer aesthetic beauty and wonder seen in animation. The main feature runs 114 minutes on a BD-50. The AVC encode averages approximately 20 Mbps, which isn’t ideal but certainly gets the job done without obvious problems. I’m sure the Japanese edition has slightly improved compression transparency, given their propensity for more generous parameters. The 1080P video is presented at its theatrical 1.78:1 aspect ratio. The animation itself gleams with immense clarity and incredible color fidelity. The digital transfer is perfect, properly capturing the intended black level and contrast. This is demo material worth playing over and over again. It sets a new standard for animation quality in the world of anime. Anime fans have two equally fine soundtracks to pick from for Maquia. This is one case where the English dub is a fine alternative if you don’t speak Japanese. The Japanese soundtrack is a full-bodied 5.1 DTS-HD MA affair with voice actress Manaka Iwami handling the title role. It’s a predictably solid dub with real dynamics and crystal-clear imaging. Forced English subtitles in a white font fairly translate the actual Japanese dialogue. These are not dubtitles for the more discriminating anime fans out there. The superlative English dub in 5.1 DTS-HD MA is equally strong as the Japanese dub and highly recommended for native English speakers. The lead role of Maquia is handled superbly by Xanthe Huynh. It’s a moving performance that conveys nuance and emotion. Having sampled many English dubs of Japanese-made anime, Maquia’s English dub ranks right up there as one of the best. The Western voices smartly fit the characters, always a tricky issue for younger characters in anime. Optional English SDH subtitles are included in a white font for the English audio. Shout Factory provides a Blu-ray and DVD combo set for Maquia, adorned with a slick slipcover. Like all Shout Factory releases, the Blu-ray is coded for Region A. Maquia seems to be receiving excellent retail support. Target, Best Buy and even Walmart are carrying this Blu-ray in their stores upon release. There’s a lavishly handsome premium set released in Japan for the most devoted Maquia fans. Making of Maquia (22:15 in HD; Japanese audio with English subtitles) – This is really three different featurettes strung together. The first is a fascinating peek behind the scenes at P.A. Works as new director Mari Okada works with the animators and staff during a production meeting. If you’ve ever wanted to sit in on a director’s daily production meeting, this is it. The second featurette is a Q & A session with Mari Okada answering questions from the audience. The third featurette goes inside the recording process for the score by composer Kenji Kawai (Ghost In The Shell). A powerful and sentimental anime fantasy epic with wonderful characters despite the melancholic undertones. The animation sets a new standard for anime picture quality. The 15 unaltered images below are taken from the Blu-ray itself. 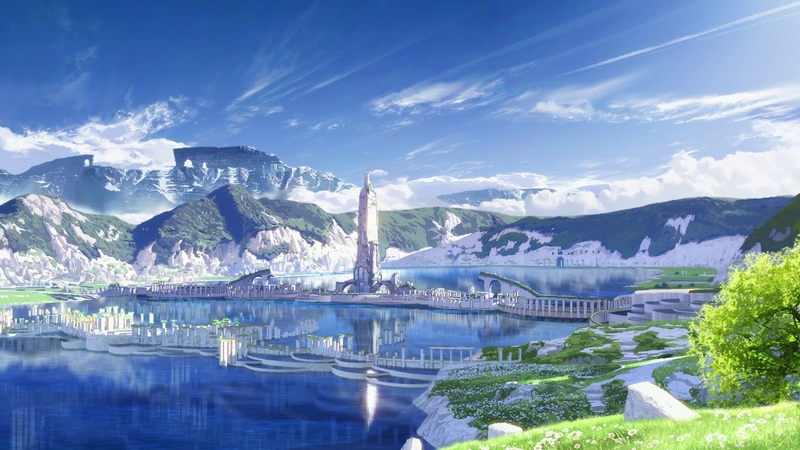 For an additional 39 screenshots of Maquia: When The Promised Flower Blooms in full 1080P resolution, early access to all screens (plus the 20,000+ already in our library), 75+ exclusive 4K UHD reviews, and more perks, support us on Patreon.